Yesterday was our last race for 2011 – The Santa Shuffle. It’s a 5km fun run round Stanley Park and the seawall and this year was the third time we’d taken part. The weather was great (one of those amazing Vancouver mornings we didn’t get last weekend) and we timed our arrival perfectly so we didn’t need to stand around in the cold for too long. Despite having run the half marathon last weekend and promising to “take it steady” we actually ended up finishing in around 25 mins 30 which is our fastest 5km yet. The post race refreshments (beef chili and some granola bars) were good as well so it was a successful event all round. One of our local HMV stores is closing down – presumably falling victim to the relentless advance of digital content – so in the afternoon I dropped by to take a look at their 60% sale. 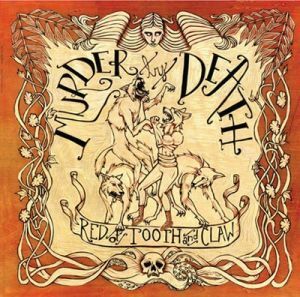 It turns out that it’s mostly a 10% sale (although if you want a Metallica clock then you can indeed save 60%) but I did pick up a copy of Murder by Death‘s album – Red of Tooth and Claw. I first discovered Murder by Death (or MBD if you prefer) when they released a 7″ single (vinyl, you remember that) featuring MDB covering Amanda Palmer’s Another Year and Amanda Palmer performing MBD’s 3 Men Hanging. I love both songs and they’re a regular feature in my “drive-to-work” playlist. Shopping complete, the cold I’ve been battling all week finally caught up with me (aided and abetted by the half marathon and Santa Shuffle) so the writing session I’d planned for the afternoon turned into nap time. The evening was spent playing a game of Madden with a friend who lives in Singapore so no writing yet again and by the time I went to bed I was itching to get back to the keyboard. Today? Today will be productive. Today will bring a new story. 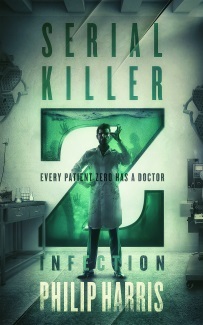 And zombies.